I am not sure if you have seen the contemporary homes we have featured for your before but if you haven’t feel free to check them out because it sure is a stunning list. Aside from that roundup, we have also showcased interiors that have this kind of style. 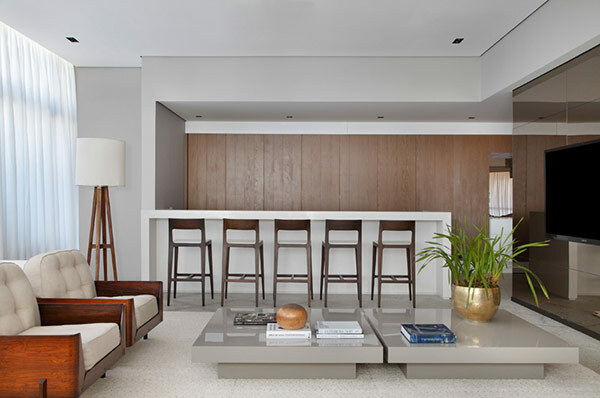 This time, we will show you another home with a contemporary design located in Brazil. Brazil sure is an interesting place! It is also home to impressive house designs like the PV House. When you look into the interior of the house, aside from the neat design, you can notice the creative and artistic elements of the house. 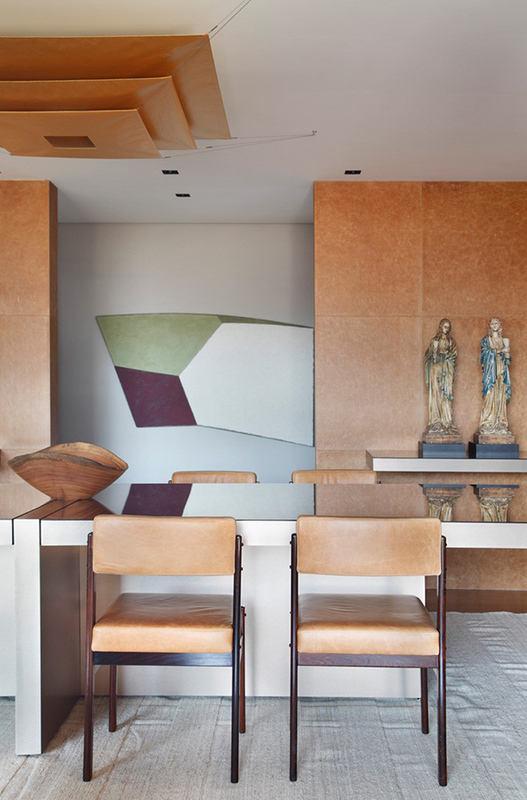 Having them in the house adds a twist to the sleek appeal of this Brazilian home. Let us take a brief virtual tour of the home below. 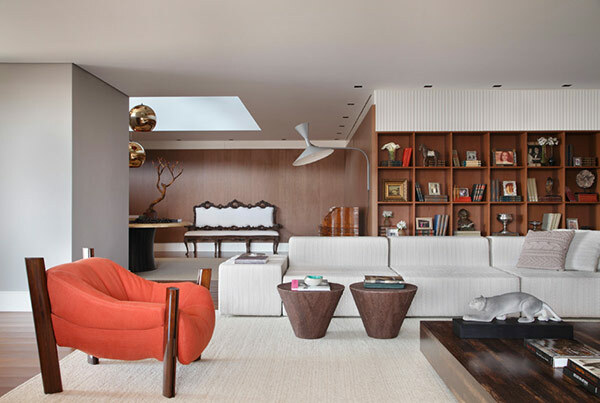 The living area highlights a bookshelf on the wall and beautiful furniture choices just like the ottoman/table as well as the low coffee table. You can also notice that there are decorations that are unique giving a subtle art deco feel into the space. 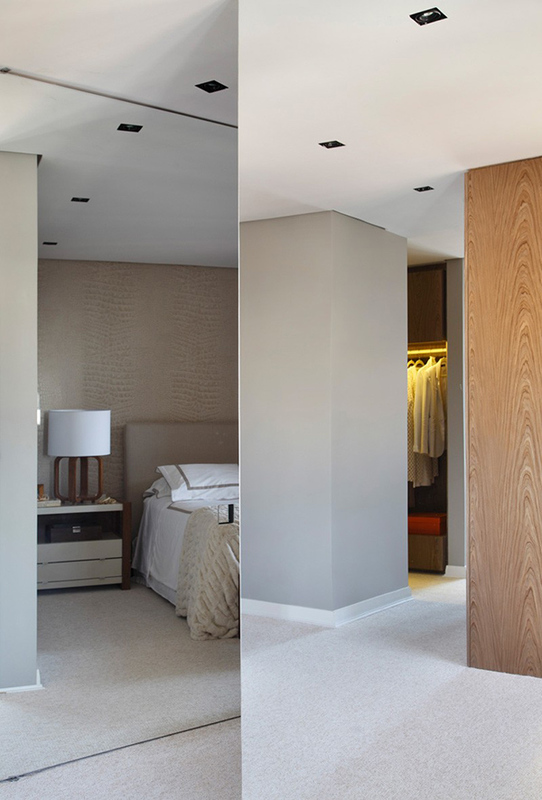 Wood with white baseboard is used for the walling of the bedrooms which I can tell has a secret storage area. 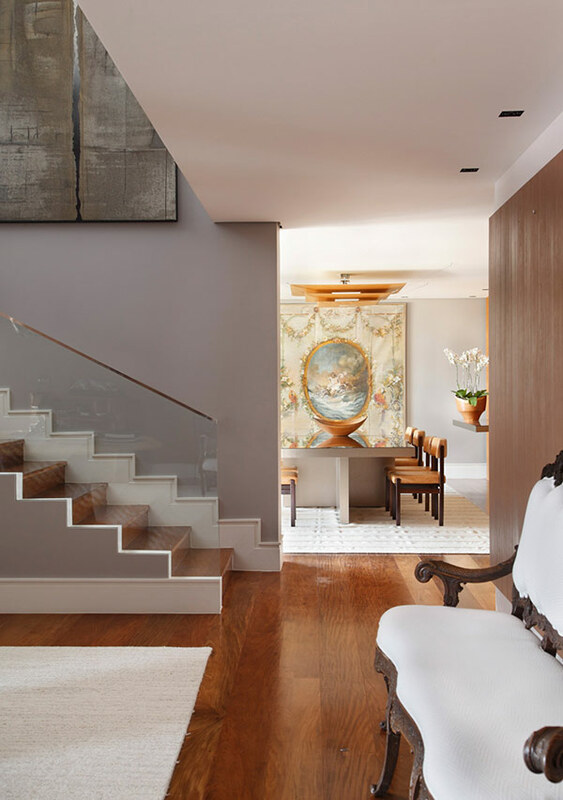 The railings of the house is almost invisible as it used glass for this wooden staircase. Beautiful dining room, isn’t it? I found the ceiling decor very interesting as well as the painting on the wall. In the foyer is this round table that sits in the middle of the room with beautiful orb style pendant lights. Another area to dine in comprised of beautiful white dining set. While this one is a bar counter. I actually think this is the kitchen too. Neat, right? 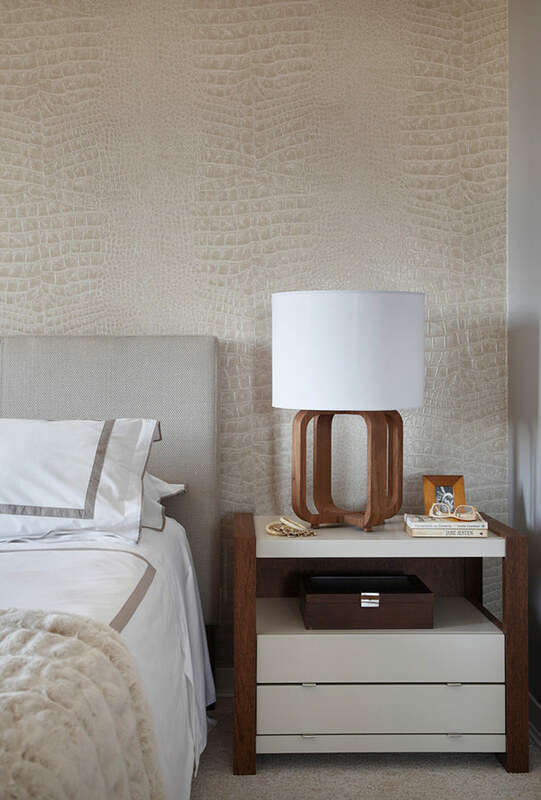 A textured leather headboard is added to this bedroom with wooden decorative elements. 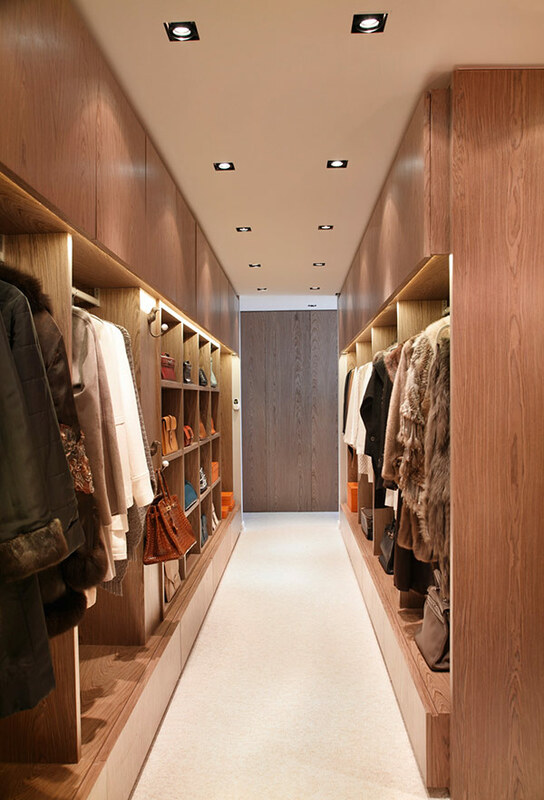 In the bedroom, it has its own wardrobe where the owner’s clothing and personal stuff are stored. This is how the wardrobe looks like. Every woman wants to get a space like this! 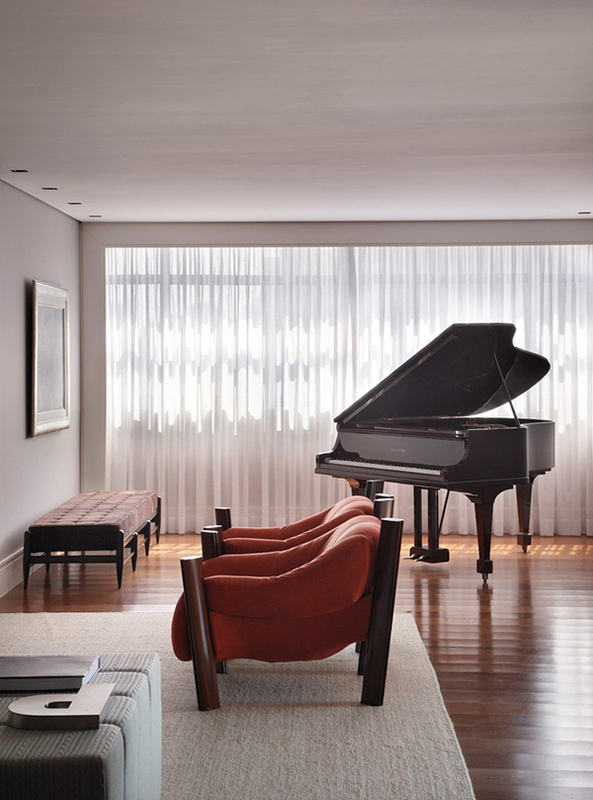 In the living room, one can also see a grand piano that would grab anyone’s attention. Another look at the dining area with a shiny tabletop making it appear like mirrored. 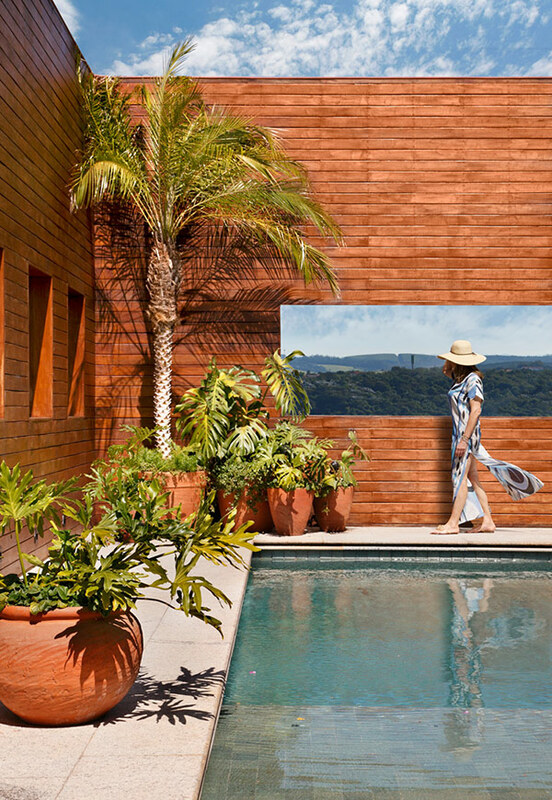 The pool area is surrounded by this wooden fencing with windows- I so love this idea. 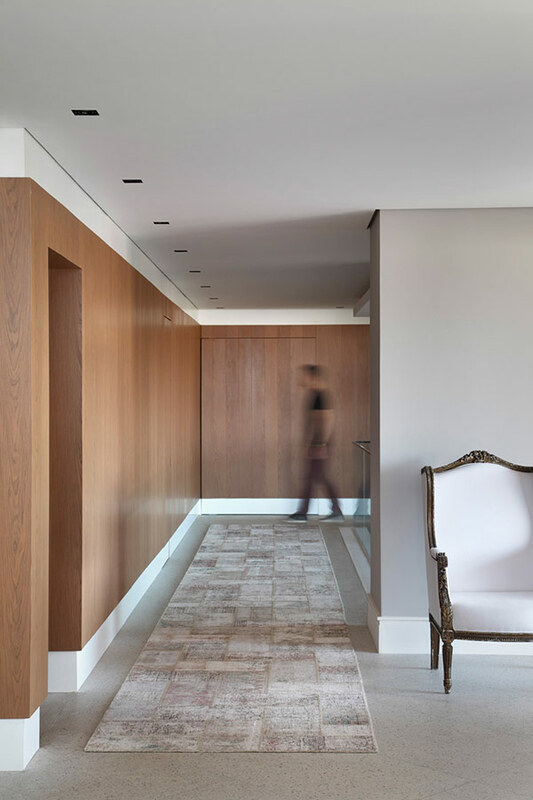 Studio Guilherme Torres did the design of this house with a beautiful contemporary look that came out with a neat and sleek appeal. You can also see how they utilized beautiful decorative elements in the house both in the interior and outdoor spaces. Isn’t this a stunning place to live in?